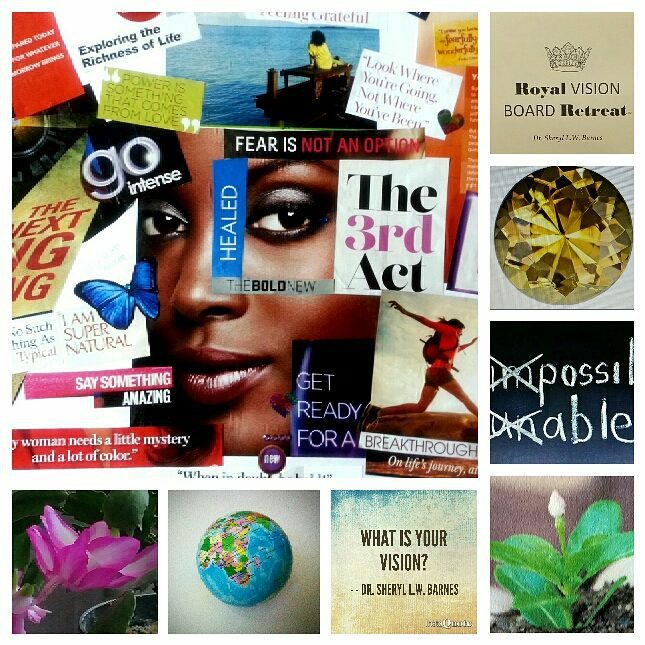 5 Reasons to Attend a Royal VISION BOARD Retreat! As an experienced Life Coach, from time to time I offer what is titled “A Royal VISION Board Retreat.” Those who attend are encouraged to tap into the unique desires placed in their heart by God. 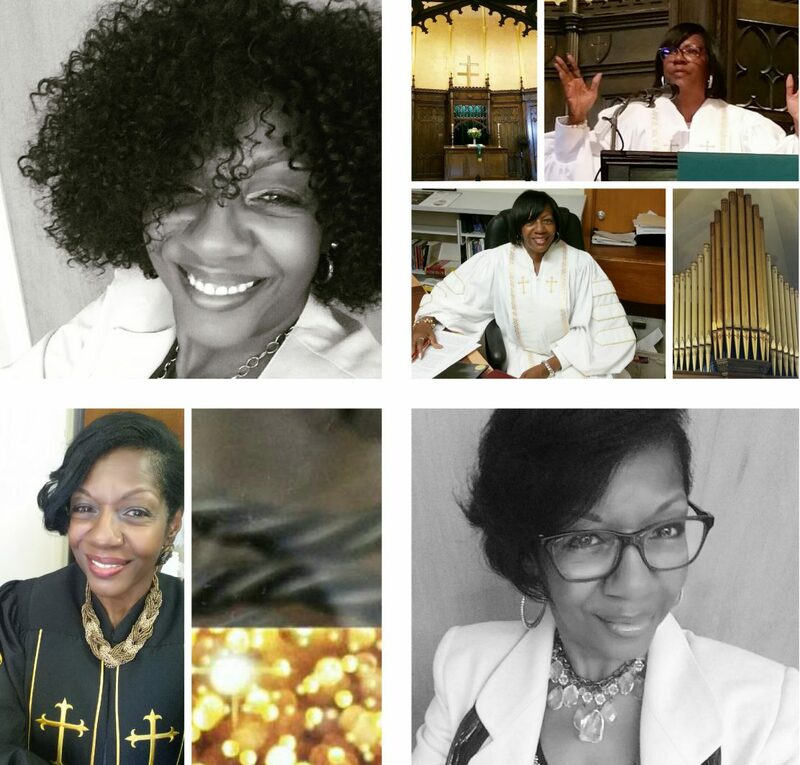 Here are 5 reasons to seriously consider making an investment in honoring your God-given dreams by attending A Royal VISION BOARD Retreat with me! #1 You need to SEE what you’re pursuing! It is crazy, unproductive and a serious waste of time for you to expect to hit a goal you refuse to set. I’ve actually met people who set more goals related to what their friends and family want than what they themselves desire! You are not a robot or a drone. Your life is way too precious to not pursue your passion. #2 Your thoughts influence your life! Research has shown that we move in the direction of our dominant thoughts. You’ve heard it said, “you are what you think you are,” and “as a man thinketh in his heart so is he.” Creating a VISION Board allows you to help focus your thinking in positive ways. 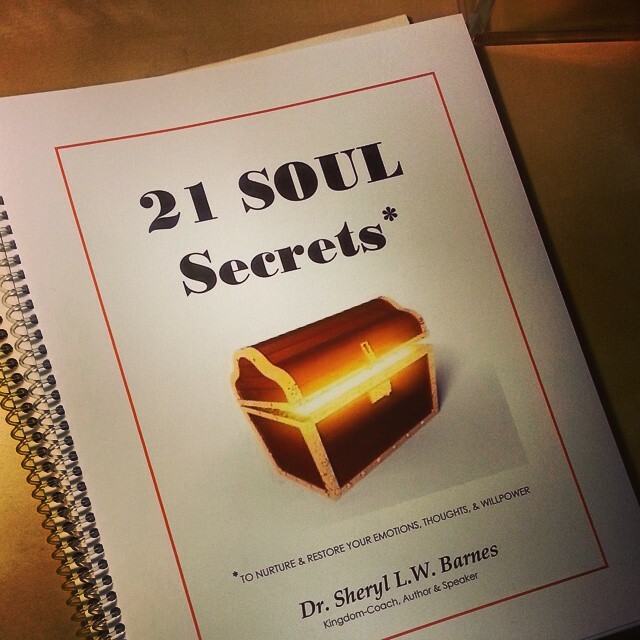 #3 When your heart speaks you need to transcribe! The deliberate act of listening to what’s in your heart and then ‘honoring’ what you hear is an act of courage, power and spiritual authority. There are all types of influences around you: cultural, historical, political, family and peers. The most important influence, however, ought to be what’s in your heart because it was placed there by God. #4 Let what moves you, move you! When you select images, verses, key words, phrases, or photos that have personal meaning for you, you’ll find that every time you look at your VISION Board you’ll feel energized! Expect to be inspired and motivated. #5 You may add to it or let it be! Because your Royal VISION BOARD is created by you, you can add to it or modify it any time you want. You can also leave it exactly as you created it as a reminder of what you once hoped for and achieved! Are your thoughts helping or hurting your success? Just like a pot left boiling on the stove; a garden you’ve planted but won’t cultivate; or children you’ve been entrusted with caring for as their babysitter: if left unattended for too long your thoughts are likely to experience chaos, disorder or disaster! To be successful you really MUST pay attention. For the next 3 or 4 days don’t do anything special except ‘listen’ to what you say in your head. Eavesdrop on your own thoughts, especially when you make a mistake, forget something or experience any type of disappointment. Do you call yourself ugly, self-deprecating names? Do you’ joke’ about being broke, fat, stupid, senile and so forth? Do you make non-empowering comments about yourself that on the surface seem harmless? Spend some time ‘thinking about what you are thinking about’ and assess how positive or negative your thought life really is. In your new state of hyper-vigilance, as soon as you catch yourself thinking something negative stop and immediately counter it! Deliberately think a more positive version of the truth that you are addressing. Be on the lookout for words such as “always” or “never” because absolutes rarely exist. That’s your first SOUL Secret assignment: police and guard your thoughts and do not hesitate to “arrest” negative interlopers that cannot take you to the place of wholeness and strength you’re headed to!